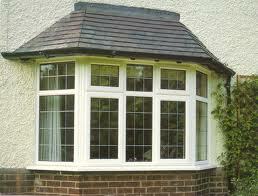 Here at Chiltern Glazing Company we offer two material choices for our window range, PVC-u and Aluminium. Both our Eco Energy Plus PVC-u range and Monarch Sapa Crown Aluminium range are state of the art in looks and performance and of course are fully compliant with latest building regulations. Both of our window systems are “A” rated to ensure the best possible performance from our systems. Both of Chiltern Glazing Company’s window systems have achieved the Secured by Design official police security initiative accreditation.